Sportsmobile Search & Rescue Vehicles will serve as first responders to many of the world’s catastrophic events as part of the Mid-East country of Qatar’s “Humanitarian Mission to the World.” These ERVs can be quickly flown anywhere in C-130 cargo planes. Seventeen ERVs were built — one Command vehicle, two Support vehicles, two K-9 vehicles (8 dogs per van), 12 Transport vehicles. Each of the 12 Transport vehicles will accommodate 12 passengers. In total, the Transport vans will be able to remove 144 people in one mission. 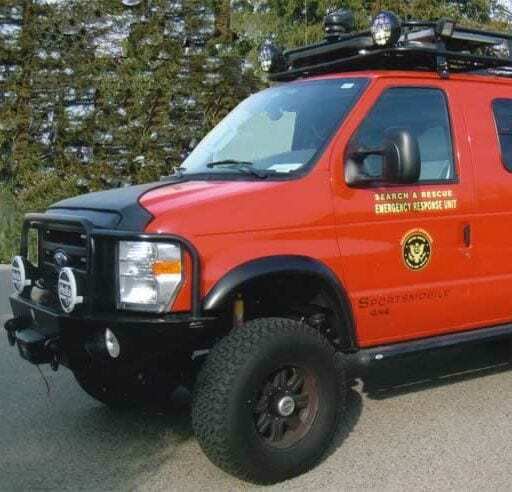 The Qatar Search & Rescue Vans were built on Ford Econoline E350 Chassis with Sportsmobile’s 12 Gear 4-wheel drive. Also included. 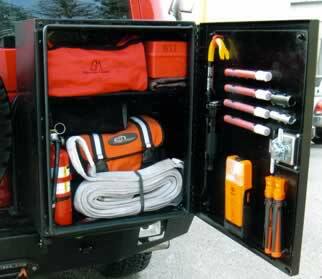 Equipped for fast emergency response day or night, all terrains and weather. • 35-inch BF Goodrich all-terrain tires, Racing wheels. Search and Rescue Vehicle built for Mr. Rollins, an emergency response volunteer, and his trained search dog. “Sportsmobile’s capability and flexibility allowed the interior to be designed for client interviews, operation as a command post, feeding, warming/cooling stations and support of public relations events. It also has a capacity of 3,000 pounds for equipment and supplies. Emergency lights and other items will be added. 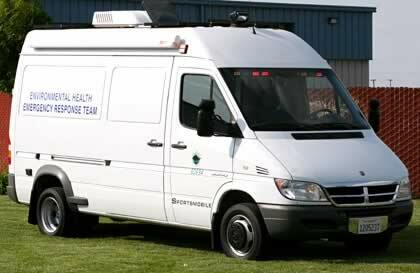 Environmental & Hazardous Materials Emergency Vehicle was built on an RB Sprinter. The interior has an updraft vapor work-station air conditioning and a sealed storage area. Sportsmobile 4×4 units being used as Ambulances for San Luis Paramedic Units in the OHV Park in Pismo Beach Dunes. 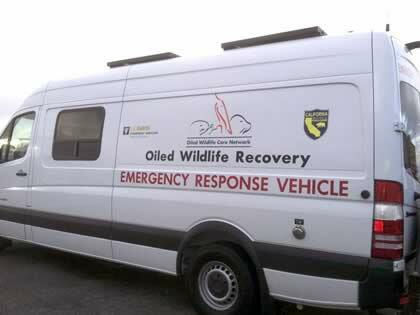 Emergency Response Vehicle for Wildlife recovery and service. Bellingham Search & Rescue Sportsmobile in Washington state. 4×4 Sportsmobile for emergency response in Pismo Beach.